This week, we’re chatting about an unfortunate topic I’m sure we all find relatable: impulse buys. 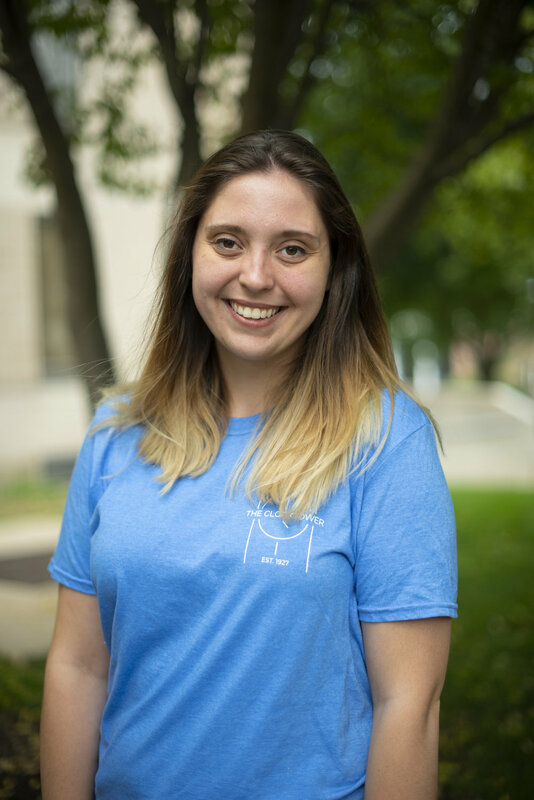 More often than not, the item doesn’t, in the words of Marie Kondo, “bring us joy;” such was the case when it came to this week’s food review. But first, here’s a little backstory. Growing up near the coast in New Jersey, my summers were filled with frequent trips to the beach, where we enjoyed strolling along the boardwalk, indulging in the deliciousness that is boardwalk pizza, curly fries, funnel cake and salt water taffy. It’s not even a slightly healthy combination, but sometimes, taste beats out health-conscientiousness. Take my word for it, this heavenly experience is epicly worth feeling like there’s a brick in your stomach. Okay, now back to present day. I made an amateur move when I went to the gym one evening last week: I’d forgotten to eat anything substantial over the course of the entire day and it wasn’t until after walking out of Planet Fitness that I felt an undeniable craving for french fries. Sure enough, what happened on my way back to campus? That’s right, I took a detour straight through the drive-thru at Burger King. It was then I saw the advertisement: funnel cake fries, for $1.99. 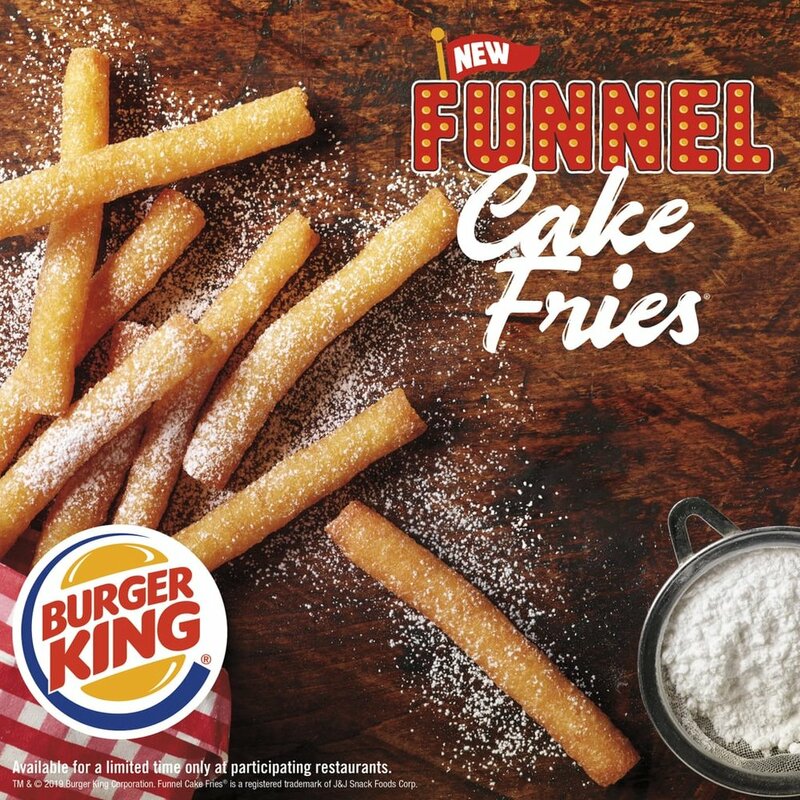 Spoiler alert–I have one word for how I felt towards this product Burger King calls, “hot, crispy, funnel cake goodness, fried sweet to crispy perfection and topped off with powdered sugar:” regret. My initial excitement for funnel cake was quickly brought to a halt when I opened the box and saw the nine stringy, deep fried crisps. Upon the first bite, I was met with this unwelcoming blend of overly crispy, yet somehow still soggy dough that in no way resembled an actual, authentic funnel cake. I was over the hype immediately. The only reason I ended up giving a second fry a chance was so I could turn my regrettable impulsivity into something slightly beneficial by reviewing them for The Clocktower. What’s even more unfortunate than the strange texture is the heavy, scratchy feeling I had in my throat after eating them. The grease definitely wasn’t worth the burning esophagus I endured for the next few hours. Is there a stronger word than regret? Disappointment, disgust, remorse … None of them seem quite strong enough to accurately explain my distaste for something that seemingly had so much potential. In conclusion, you’re welcome. I tried funnel cake fries so you’ll never have to.